On arrival we will pick you up and take you to your city center hotel. Today you can have the day free or we can include a group or private city tour. Option! Take a trip to the Nature Park in Guayaquil or the fun ´Middle of the World´ park near Quito. Today we will take you to the airport for your flights to the Galapagos – brimming with plants and animals found nowhere else on earth. 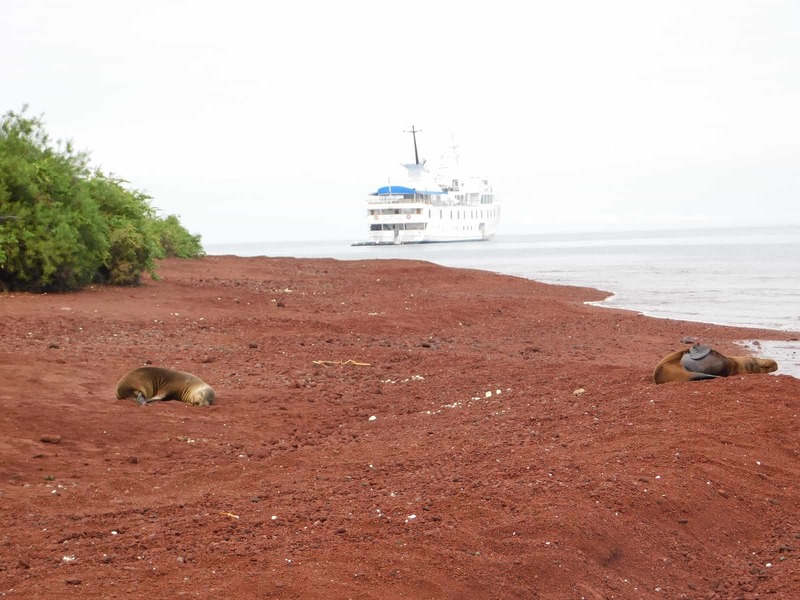 You will be met there and transferred to your ship to begin your next adventure – 5 Day Cruise of the Galapagos Islands. 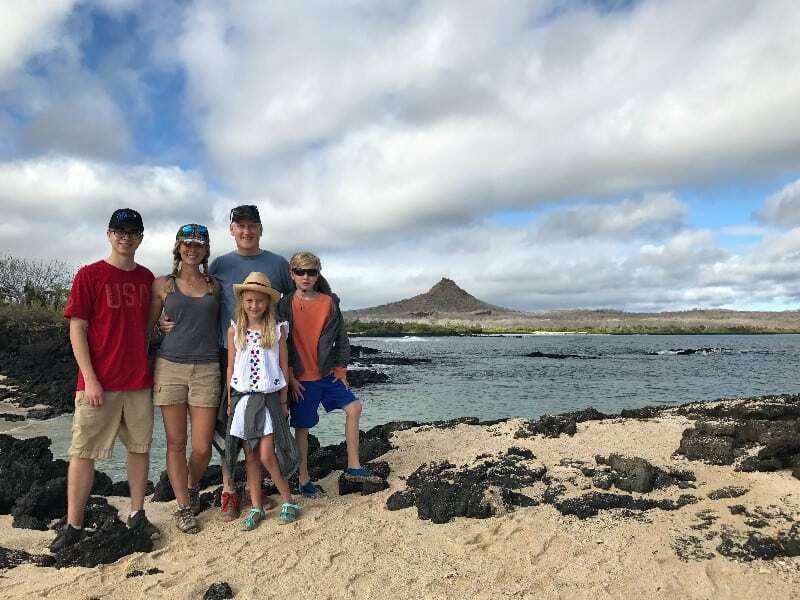 Your exploration of the Galapagos begins on Santa Cruz Island with a visit to Las Bachas Beach, an important nesting area for green sea turtles. Bachas is a beautiful white sandy beach, ideal for easy off-shore snorkelling. Just off the beach, several lagoons are feeding grounds for wading birds such as flamingos and stilts. A great start at brilliantly named Buccaneer Cove. Learn about your Galapagos predecessors here / from whalers to pirates and Charles Darwin as you explore the coast around Santiago (James) Island by small dinghy (panga). Buccaneer Cove is home to a large number of sea birds, sea lions and sea-life. The Santa Cruz’ special sea guide can help children to learn some techniques for snorkelling here in open water. 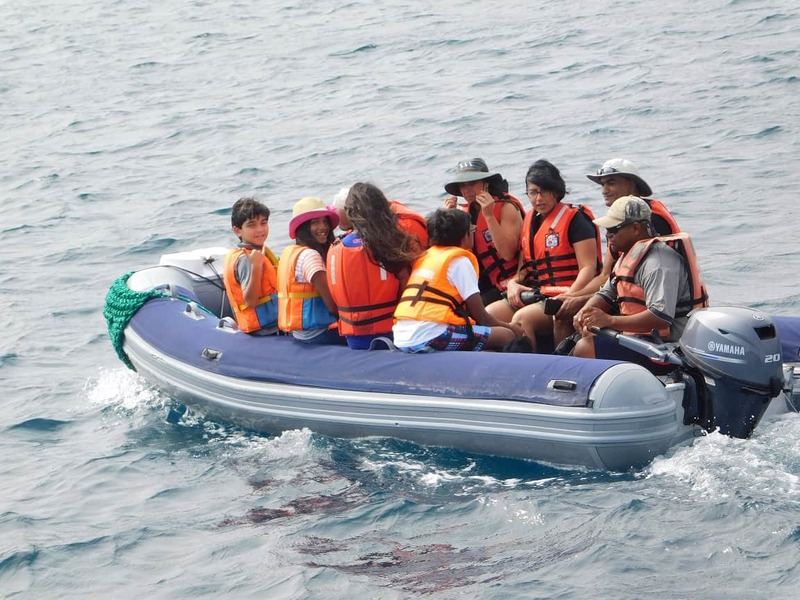 opportunity to see land and marine birds. 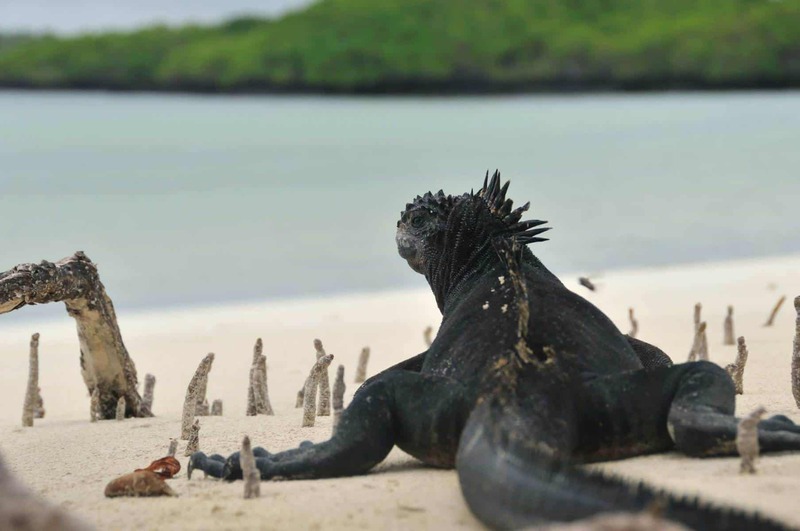 At low tide, marine iguanas graze upon the algae beds and there is a colony of fur-sea lions. Opportunity for snorkelling and swimming from the beach after the walk. Take a panga ride to a red-coloured beach. Here you can get close to sea lions, marine iguanas, mockingbirds, yellow warblers and several species of Darwin´s finches. This is a great place to snorkel from the beach, both for beginners as well as for experienced snorkelers, due to the unique combination of underwater species and submarine landscapes. 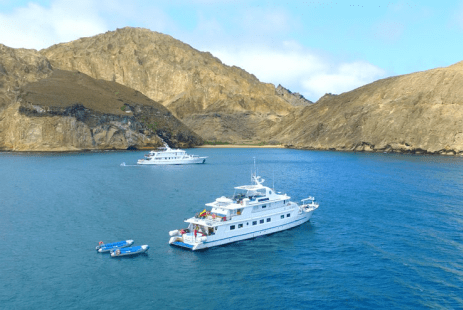 During lunch, you ship will move on to Bartolome Island for your afternoon excursion. Disembark on shore for a hike to the summit of the island and a spectacular view. There is time for a panga ride around Pinnacle Rock then some snorkelling with penguins before heading back on board for dinner. After a panga ride along the coast, there is a short walk up some steps the flat top of the island. A walk here will take you past many Nazca and red-footed boobies, frigate birds and petrels. In the afternoon, walk amidst hundreds of Galapagos birdlife including frigate birds, red-footed and Nazca boobies, gulls, herons, finches and mockingbirds. Choose between a short walk for dramatic views or return to the beach for swimming, snorkelling or a ride in the glass bottomed boat. In the eving, enjoy a special farewell dinner and sunset cocktail. 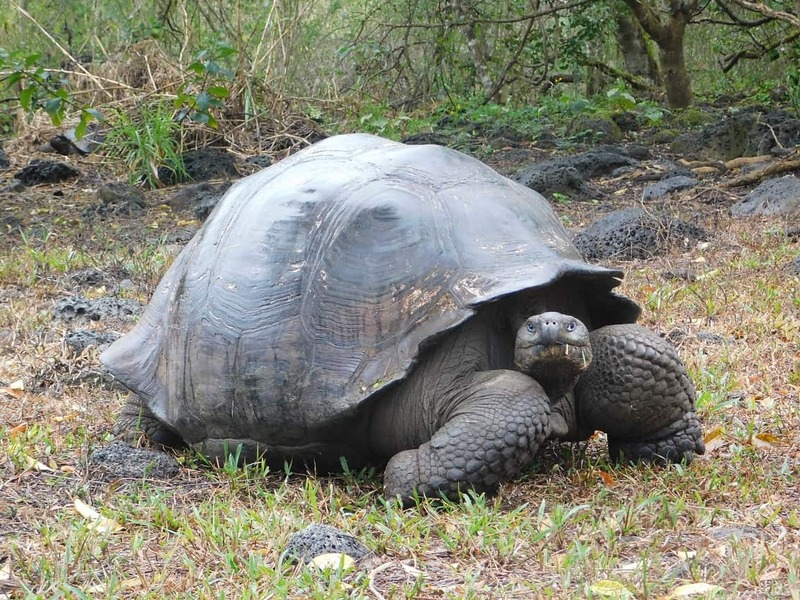 After breakfast, head into the highlands to see the giant tortoises at Cerro Colorado. Return to San Cristobal´s main town for your final farewell to the Galapagos and your short flight back to Guayaquil on the mainland and your flight home.